I attended the West Central Stakeholders event at the Lou Soppit Community Centre in Rocky Mountain House last Thursday, March 26. The group is financially facilitated by oil and gas companies operating in Clearwater County and exists to minimize conflicts between the industry and land owners. The Sundre Petroleum Operators' Group (SPOG) operates along similar guidelines. 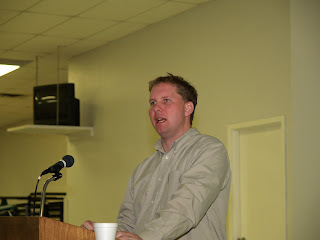 The topic for the meeting was “Understanding Landowners' Rights when the oil and gas industry comes to your door”. The meeting was very well attended by local and industry people and was addressed by representatives from the Energy Resources Conservation Board (ERCB). The Surface Rights Board SRB) and the Farmer's Advocate Office (FAO). As a landowner listening to the presentation I had the distinct feeling of being back in a classroom along with fellow land owners and being lectured to by the gentlemen in front of us. For example, we were told that, and please correct me if I am wrong, farmers only contribute some 2% to the overall economy (read: you are not very important). I.e. Landowners should step aside and let the important people come in and do what is in the public interest. Namely to extract oil and gas resources and so create revenues for the public purse (read: extract non renewable resources as quickly as possible from Alberta's soils). (read: the oil/gas company moves in and sets up shop). Other kinds of outcomes were win-lose or lose-lose (read: the “lose” part applies to the landowner). Information was provided indicating that a minuscule number of applications for wells (20+) out of several thousands were rejected by the ERCB (read: so you might as well give up opposing them). We were also told that the ERCB had not really been provided with any kind of guiding philosophy by the Government of Alberta, and so had to make up its own. And this has irrefutably meant maximum possible extraction of energy in the shortest possible time, as determined by market conditions. Having been given the opportunity to use a microphone, I suggested that the Energy Resources Conservation Board should be renamed to become the Energy Resources Extraction Board, to more accurately reflect its real purpose. By now, most of us probably realize that the present Alberta Government, and many before this one, is essentially a front shop for Big Energy. The newly proposed Bill 19 is an excellent example of how the government is being used as a tool to pave the way for big energy developments. And the Stelmach puppies just rewarded themselves with a nice pay increase for their good work which consists mostly in tail wagging to Big Energy. To find out more about this, come to the Leslieville Elks Hall (just across the street from the community hall) on Wednesday, April 8 at 7:30pm. Joe Anglin will be there. Learn the Facts about the proposed Bill 19! Your Democratic Right to be Fairly Compensated! the Government is not telling you ! Lately, I have been a rather avid reader of the works of economist John Kenneth Galbraith who had his beginning in rural Canada and has since risen to world wide prominence in his profession. Among other things, as a young man he was responsible for price controls during WWII in the Franklin D. Roosevelt administration in the U.S. In his book, Economics and the Public Purpose published in 1973, Galbraith writes about the rise of the “corporation” and its bullying effect on the rest of us. Moreover, he notes how the boards of these corporations are becoming less and less effective in guiding the organization until they end up as rubber stamps for decisions made by executive staff members who increasingly look after their own interests at the expense of both shareholders and consumers of their products. And wasn't he ever right! Look at AIG and its arrogant and greedy executives who walked away with wads of public money confiscated from the public by a corrupt federal administration. Over the years the quality of the people who have entered public life, both here in Canada and in the U.S., has gone down hill to the point where those that make it into paid office simply carry out the will of the cliques that run the large corporations. So, the wants of Big Food, Big Pharma, Big Energy, and above all, Big Finance, overrule the needs of us, the real shareholders in what is being produced. On the federal level here in Canada my point has recently been supported by statements made by the Right Honorable Prime Minister Stephen Harper in regard to the Canadian economy and its relative immunity from the global economic downturn. Harper lays claim to being an economist but was quickly corrected by David Dodge, former Governor of the Bank of Canada (which, by the way, belong to us) who said that the severity of the global crisis should not be underestimated and that Canada is very vulnerable to world events. And you don't need to be a scholar to figure that out with some 80% of Canada's exports going to the U.S.
And finally, here in Alberta we now have Bill 19 which seeks to bulldoze Albertans out of the way of Big Energy, whenever it suits the Minister, with no recourse other than being arrested if you pipe up too much against the Minister's pleasure. It reminds me of something that actually happened in Britain a number of years ago: His Lordship was getting tired of the view from his balcony being spoiled by a part of the local village appearing in his line of sight. So he ordered it razed and replaced with suitable vegetation. Is that what we want? Clearwater County is currently in the process of creating a Municipal Development Plan and provided community feedback on progress so far at the Caroline Complex last Wednesday, March 11. Chris Ulmer from Parkland Community Planning Services presented a Draft Strategies Report to a handful of interested community people along with county and village councillors. He noted that so far, some 200 people had attended planning sessions at various community halls in Clearwater County to brainstorm over the future of the county. 78 preliminary questionnaires were also returned. The Municipal Development Plan will deal with the subjects of the County's Natural Capital (agricultural lands, forests,water), Green Places and Recreation (includes use of backcountry trails by large numbers of people) , Rural Residential (includes controversial multi lot subdivisions), Hamlets (expansion possibilities), Economic Development (diversify a local economy that is currently very resource dependent while retaining an agricultural base), Infrastructure (roads, utilities, etc. ), Services (health,education, etc.) and Intermunicipal and Local Area Planning. Caroline, as a Village and independent municipality, fits into this last category and the idea is to undertake a Joint Outline Plan with the Village for a mutually agreed upon fringe area of land.. The Province requires counties in Alberta to create municipal development plans which create a mosaic that theoretically will form the basis for, and fit into, regional development plans. The planning process is ongoing and further community involvement will be solicited. To find out more, please Google Clearwater County Alberta. and Junior and Senior High Progress Reports will come home on March 13th. looking for a record turn-out! and socially advantaged when compared to their age-level peers. measures that are demonstrated by our junior high and senior high school students. at 722-3833 and leave your name and availability. There are still a few 2007/2008 yearbooks available for purchase ($37) at the office. to fill out the order form. support meetings. Tutors will be paid $10 an hour. The cost to parents will be $5 an hour. Phone Heidi Brown at the school—722-3833, for more information. Scholastic Book Fair. He receives $25 in books as well as $25 in books for his classroom. The Stelmach government in Alberta has let another animal out the back door. It is called “Bill 19” and makes the previous Bill 46 look like a rather tame puppy. Just to tickle your memory a little bit: Bill 46 poked its nose out the door in 2007 amongst all the controversy over the proposed 500 kilovolt power line between Edmonton and Calgary. It was an aggressive little beast seeking to limit landholders' rights to oppose power corridor developments over their lands and retroactively legitimized scandalous actions by the Energy Utilities Board in its dealings with the public. During this time, the EUB was also found to have hired spies to listen in on the conversations of objectors to proposals being heard by the board. As the dust settled towards the end of 2007, a slightly muted Bill 46 was passed by the legislature, creating the Alberta Utilities Commission and so splitting the EUB into the Energy Resources Conservation Board (ERCB) and the AUC. And nameplates were shuffled on the doors of the various operatives without any evidence in a change of attitude as is now indicated by the emergence of Bill19. “Alberta Green Party leader Joe Anglin, who spearheaded landowner opposition during the first hearings into the Edmonton-Calgary 500 KV transmission line, called the bill "one of the most draconian attempts to streamline the expropriation process of private property known to a democratic society." Bill 19 makes it legal for any cabinet minister to take away anyone's home, land or property "for pretty much any reason they so desire," he said. "If the minister thinks you are going to contravene his or her orders, they can order you to stop what they think you are going to do, and if you don't stop what they think you might do, they can put you in jail." Fancy that; the agents of Big Energy are at it again, using the Stelmach puppies to look after their interests by trying to coerce Albertans into letting them do whatever they want. The annual Caroline Rhythm and Rhyme event is planned for April 5 at the complex with the theme “Old Boots”. Activities begin at 10am with fellowship followed by a day of Western Poetry, Music and Displays. Featuring local and other well known artists. Don't forget to bring your old boots! Admission: Adult $10, Family $20. Concession will open at 10am. For more information, contact Al at 403 722 2032, Teresa at 403 722 2578 or Louise at 403 722 2409. All councillors and CAO McKinnon were present at the regular meeting of the Village council last Tuesday March 3 at 2pm in the Village office. The matter of the resignation of Fire Chief Patrick Blowers was noted in the written CAO Report, but was not discussed at the meeting. Fire service delivery in the region is currently in a state of transition with the paid fire services staff at Clearwater County increasing in number. Reportedly, the new designation for Caroline's top fire fighter will be “Battalion Chief”. The written report by Foreman Ron Landry was submitted to Council as follows: “The Public Works Department have hauled a lot of snow that has been piled up off the streets. The water tap in the Little Green park has been leaking. This tap does not have a curb stop to turn off the water. We need to make a decision to either replace the existing tap and put a curb stop on it so that the water can be shut off for the winter, or we need to remove the tap. Garbage collections are running normally, and we have moved the garbage truck inside the shop so that it is easier to start during the cold weather. We were also able to repaint the floor and pipes in the water treatment plant. The treatment plant will need repairs on the backwash system. This system is leaking and the leak is progressively getting worse with every use of the system. The hot water system at the RV Park is in need of repair. I am pricing out the cost of replacing the existing system to a tankless hot water system. Councillor Van Dijk reported from the regional fire committee that resumes had been received for the regional fire trainer positon at Clearwater County. Councillor Pryor reported from SPOG that Shell is looking at a program to maximize gas extraction from existing wells as production declines. Council Rep. For Spring Convention. Clearwater County is prepared to pay for a Village Council Representative to go to the spring convention of the Alberta Association of Municipal Districts and Counties in Edmonton on March 23,24 and 25. Councillor Pryor will attend this convention. Discussion On Off-site Levy Contract Proposal. CAO McKinnon presented draft contracts prepared by Stantec Consulting Ltd. and Parkland Community Planning Services to determine off-site levies charged by the Village to developers tying into existing municipal infrastructure. The idea is to tie into a 10 year Capital Infrastructure Plan that Stantec is currently working on for the Village. This can be a potentially sensitive area as developers are inclined to challenge the validity of extra charges. The proposed fees for the work of determining off-site levies are quite substantial, Stantec- $29,400.00 and Parkland- $16,850.00, and Councillor Van Dijk questioned the need for this work, which includes five workshops, among other things. After some discussion, Council decided to go ahead and sign the contracts. The Village has a plaque dedicated to the memory of Caroline Rebecca Nelson which reads “Forever honoured by her namesake- Village of Caroline”. Based on a request from the Caroline museum, Council donated the plaque to the museum. CAO McKinnon floated the idea of selling village promotional merchandise such as T-shirts, etc. A motion was carried to allocate $1,000.00 to implement this idea. Council decided to introduce a $100 appeal fee for people that decide to make an appeal against a Development Permit. The fee is refundable if the appeal is successful. This is intended to be a deterrent against malicious or frivolous appeals. Council went in-camera to discuss unspecified issues. Canadians are beginning to ask themselves: “What are we doing in Afghanistan?” And the public debate does not even touch on the real reasons. In order to understand why our elected representatives are prepared to pour a substantial proportion of our Gross Domestic Product, 18 billion dollars, into a dusty mountainous region on the other side of the world, it is necessary to take a step back and review the ongoing global chess game for power that never ends and began when life took hold on the surface of the planet. Afghanistan has always been important to the world powers of the day because of its strategic position. The original project started in March 1995 when an inaugural memorandum of understanding between the governments of Turkmenistan and Pakistan for a pipeline project was signed. In August 1996, the Central Asia Gas Pipeline, Ltd. (CentGas) consortium for construction of a pipeline, led by Unocal was formed. On 27 October 1997, CentGas was incorporated in formal signing ceremonies in Ashgabat, Turkmenistan by several international oil companies along with the Government of Turkmenistan. In January 1998, the Taliban, selecting CentGas over Argentinian competitor Bridas Corporation, signed an agreement that allowed the proposed project to proceed. In June 1998, Russian Gazprom relinquishes its 10% stake in the project. Unocal withdrew from the consortium on 8 December 1998. The new deal on the pipeline was signed on 27 December 2002 by the leaders of Turkmenistan, Afghanistan and Pakistan. In 2005, the Asian Development Bank submitted the final version of a feasibility study designed by British company Penspen. Since the United States military overthrew the Taliban government, the project has essentially stalled; construction of the Turkmen part was supposed to start in 2006, but the overall feasibility is questionable since the southern part of the Afghan section runs through territory which continues to be under de facto Taliban control. On 24 April 2008, Pakistan, India and Afghanistan signed a framework agreement to buy natural gas from Turkmenistan. The 1,680 kilometres (1,040 mi) pipeline will run from the Dauletabad gas field to Afghanistan. From there TAPI will be constructed alongside the highway running from Herat to Kandahar, and then via Quetta and Multan in Pakistan. The final destination of the pipeline will be the Indian town of Fazilka, near the border between Pakistan and India. The pipeline will be 1,420 millimetres (56 in) in diameter with a working pressure of 100 atm. The initial capacity will be 27 billion cubic meter (bcm) of natural gas annually of which 2 bcm will be provided to Afghanistan and 12.5 bcm to both Pakistan and India. Later the capacity will increase to 33 bcm. Six compressor stations are to be constructed along the pipeline. The pipeline is expected to be operational by 2014. The cost of the pipeline is estimated cost at US$7.6 billion. The project is to be financed by the Asian Development Bank." NATO is the military arm of what may be called the “Western Empire” which includes Canada, and the idea is to ultimately gain control of vast oil and gas reserves that used to be part of the Soviet Union and control the territory through which that energy is distributed. Hence our presence in Afghanistan. The tribal people there have always resisted the intrusions into of foreigners into their territory and they have become very good at it through long practice. We are now on the receiving end of their skills, just like the Soviet soldiers used to be not so long ago. From the point of view of the average Canadian the complete dishonesty of our politicians is a major issue: The top brass in all the political parties know exactly why our young people are being sacrificed in Afghanistan but tell the public and the young soldiers a completely different story, because the truth would be too upsetting for those that have lost loved ones. 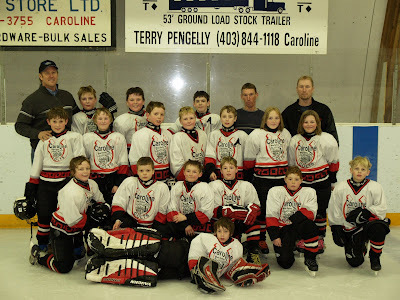 WINNING TEAM The Caroline Colts Atom hockey team won their game against Stettler, 8 goals to 4, Saturday March 7 at the Caroline complex. They played in the Provincial Tier 3 Finals this last weekend in Legal, north of Edmonton. The Caroline Colts team members are: Easton Harder (Goalie), Logan Neal, Cole Michalsky, Riley Westling, Dallas Johnson, Darbi Cunningham, Tanner Denham, Dylan Rauch, Andy Larsen, Denton Westling, Tristan Adrian, Cody Graham, Clay Guthrie, Beau Alstott, Jordan Maxwell. Coach Darren Denham. Assistant Coaches: Rod Neal, Cody Haney. 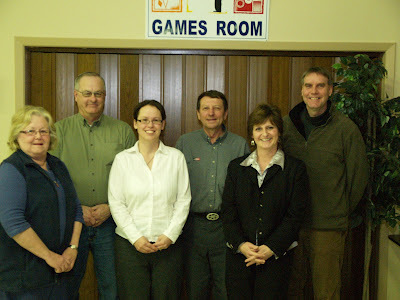 At its AGM last Monday at the Legion Hall, members of the Caroline & District Chamber of Commerce received a report from Chamber Manager Deana Knight on events and activities hosted by the chamber in 2008. They included a Community Meet and Greet in January, the May Long Weekend Parade, Canada Day Celebration, Federal and School Division Election Forums and Christmas Lightup. An ongoing enterprise and income generating activity for the chamber is the management of the Burnstick Lake Provincial Campground which is contracted out to private individuals every year. 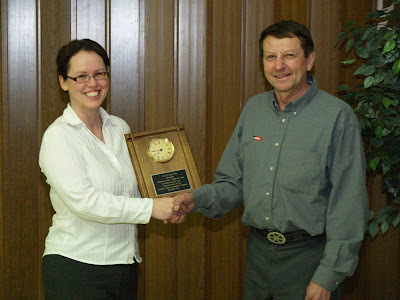 After several years of service, Julie Oliver handed over her responsibilities as President to Reg Dean who was instrumental in reviving the chamber in about 2002. The chamber is an active member of the Caroline community which is reflected in an annual dollar turnover of about $40,000. The Village Council Chamber was packed last Wednesday morning for a Municipal Planning Commission meeting to deal with a proposal from the Rocky Youth Development Society to develop a dedicated site for its Boys and Girls Club programming in Caroline. The building in question, which has been leased by the society, is located on 50th Avenue at the west end of the village, across the road from Caroline Supplies. It is currently vacant and the development proposal includes internal building upgrades and the establishment of a movie theater which can be accessed by the general public. MPC Chairperson Kim Ceasor called the meeting to order shortly after 9am and gave those present an opportunity to present their cases and concerns before she and the other MPC members (Al Toovey and Councillor Van Dijk) discussed and made a decision on the proposal from the Rocky Youth Development Society. Village CAO Tyler McKinnon, who is also Caroline's Development Officer, was present to give advice to the MPC during its deliberations and gave the initial presentation to those present about the proposal before the MPC, and Village requirements as per its Land Use Bylaw. Rocky Youth Development Society President Greg Imeson made a presentation for the proposal and noted that the building had been inspected and found to be up to code. A 100 seat movie theater is planned with 18 spaces being needed for parking, which includes 7 spaces behind the building. Movie showings would be at 7pm, Thursday through Sunday. An after-school program will be hosted in the building on school days until 6pm under the supervision of staff and volunteers. Caroline resident Al Grimshaw said that the location on a main thoroughfare was not good and suggested that the Boys and Girls Club should be hosted in the Caroline Complex following its planned expansion. A similar view was also expressed by Chris George. Caroline Supplies owner Reg Dean said that he was not against Boys and Girls Clubs, or the activities they promote, but was against the chosen location. 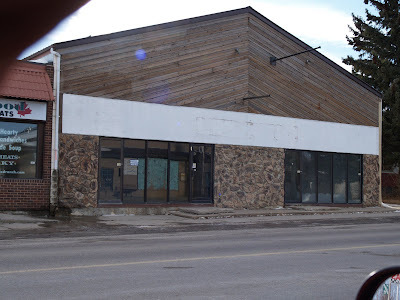 His main concerns were inadequate parking for the intended use of the building, traffic along the highway, congregation of youth next to his retail establishment and their negative impact on his clientelle and building deficiencies in relation to its intended use. He suggested that the Boys and Girls Club should work with the Rec/Ag Society to secure a space in the new complex. 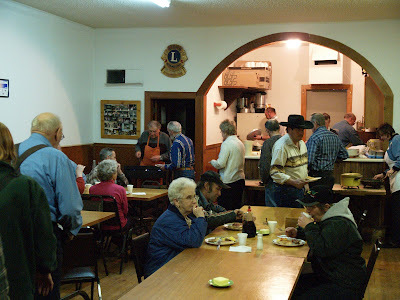 SHROVE TUESDAY PANCAKE SUPPER Enjoyed by all at the Lions Den in Caroline last week. “The bones of Alexander’s men lie deep in Afghanistan. The Mughals, a Turkic dynasty established in India in the early 16th century that later adopted the Persian language, could not with their affinity subdue the Turkic and Persian tribes in the region. The bleak, mountainous land was unkind to the British Raj during a series of Anglo-Afghan wars that started in 1839 and ended 80 years later. The Soviet invasion of 1979 was seen as a nine year immersion into Afghan hell for its army. And now, under the Obama administration, the U.S. is preparing to commit more troops, with little to show for some 3,300 casualties and the expenditure of more than $173 billion since 9/11”. This was the introduction to an article written by a Frank Schell recently in the Wall Street Journal. And, our own Stephen Harper was recently pinned down by an American reporter while visiting the US and asked whether Canada might be prepared to commit more troops to Afghanistan. To which he replied, to my amazement, that there had better be some expected positive outcomes before any such commitment would be contemplated. He did not believe that the “insurgency” could ever be defeated, only contained. Astounding. 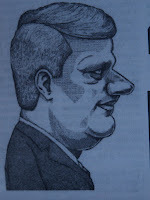 Stephen Harper must have finally seen fit to open a history book! I remember Stephen Harper flying into Afghanistan shortly after his installment in the Prime Minister's chair and address our troops there with great bravado, extolling their virtues and achievements, before flying back to his comfortable home in Ottawa. So why in Heaven's name are our politicians in Ottawa wasting some $18 billion in Afghanistan in addition to squandering the lives of more than 100 Canadians? The answer is only too plain and has nothing to do with the “improvement” in the lives of indigenous people in the area. On the contrary, it has everything to do with who controls the energy flows coming on to world markets from that general region. The real reason for the Iraq war is exactly the same. I found Stephen Harper's frankness to be quite out of character, compared to his previous statements. I think he knows that his days as Prime Minister of Canada are numbered and couldn't keep himself from expressing some real sentiments, rather than those he has been paid to utter in the past.